Pro Tip: "Contrac Meal is made with a variety of seeds and grains, resulting in a bait full of different textures and flavors. Mice love this product. It is also good to mix a meal formulation in your baiting routine. (California has placed all second generation anticoagulant rodenticides in a restricted use category. We can not ship Contrac or Final rodenticides to California without a pest control license. 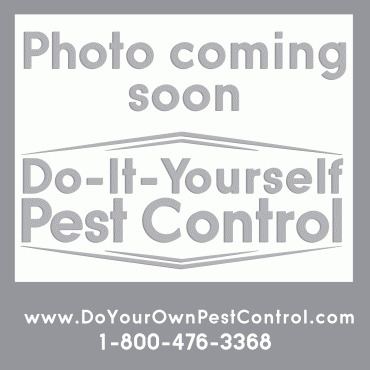 If you are a pest control operator in California, please call use with your license number. Other single feed baits (non anticoagulants), such as Top Gun, Fastrac, and Terad3 are available in all states.) "
Contrac Meal Rodent Bait is a single feed bait with Bromadiolone and is ideal for burrow baiting. Use Tier 1 Rodent Bait Stations with Contrac Meal if placing bait above ground. Contrac Meal Rodent Bait is a combination of seeds and grains that mice find attractive. Superior bait performance occurs with Contrac Meal because of the formulation of food-grade ingredients, seeds and grains. Contrac Meal Rodent Bait is a combination of seeds and grains that mice find attractive. Superior bait performance occurs with Contrac Meal because of the formulation of food-grade ingredients, seeds and grains. Besides the high bait acceptance, Contrac Meal reduces the possibilty of transportation of bait to sensitive areas where children or pets may be. The one draw back on meal baits, like Contrac Meal is their weather ability. Keep in dry areas.Use in rodent bait stations. As with all Contrac rodent baits from Bell Labs, bait shyness is not a problem because death occurs within a few days after the bait is consumed. As a single feed bait, it is also less toxic in primary and secondary poisoning situations. Vitamin K is the antidote. Contrac Meal is made with a variety of seeds and grains, resulting in a bait full of different textures and flavors. Mice love this product. It is also good to mix a meal formulation in your baiting routine. This product may only be used to control Norway rats, roof rats, and house mice in and around homes and residential buildings, food processing facilities, industrial, commercial, agricultural and public buildings, and similar man-made structures. It may also be used in transport vehicles (ships, trains, aircraft) and in and around related port or terminal buildings. Do not apply further than 50 feet from buildings. Do not place near or inside ventilation duct openings. Apply 3 to 16 ounces of bait (usually at intervals of 15 to 30 feet) per placement. Maintain an uninterrupted supply of fresh bait for at least 10 days or until signs of rat activity cease. Apply 1/4 to 1/2 oz. (1 - 2 level tablespoons) of bait per placement at 8 to 12 foot intervals. Larger placements (up to 2 oz.) may be needed at points of very high mouse. Bait applied outdoors and above-ground MUST be placed in bait stations. Bait stations (tier 1) used outdoors, above-ground, in locations accessible to children, pets and non-target wildlife must have the following characteristics, in addition to those outlined above for tier 2 and 3 bait stations: (1) be resistant to destruction or weakening by elements of typical non-catastrophic weather (such as, snow, rain, extremes of temperature and humidity, direct sunshine, etc. ).